Recommended leisure activities in Mie! There are many excellent beaches for leisure in Mie province. In this regard, we will introduce eight beaches, starting in the north of the province. How about having some fun with your friends and family this summer? 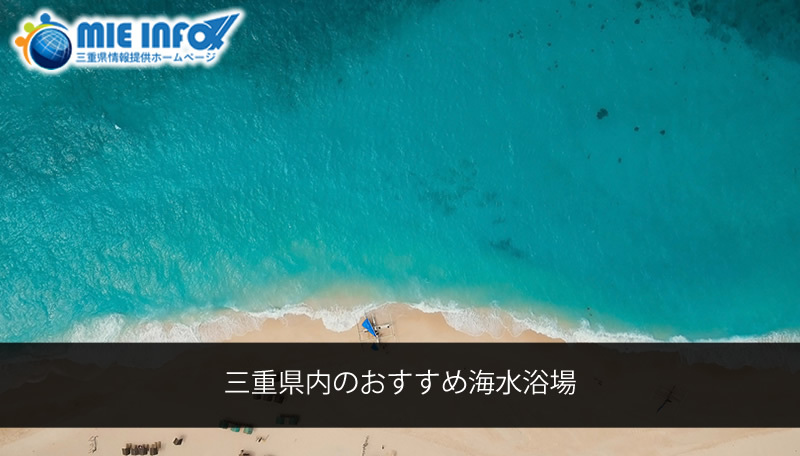 There are several other beaches featured on the Mie Tourism Association website (https://www.kankomie.or.jp/season/detail_72.html), there are many beaches being presented. Please see the website (in Japanese only)! * Please confirm during the inquiry about the barbecue, camping, the hours of operation of the establishments of the beaches, and other details. A beach with shallow sea and beautiful pine trees on the white sand. In the summer season the beach is bustling not only by visitors from the province, but also by people from the regions of Chubu and Kansai. The Gotemba Beach, with serene waves and white sand stretching for 17km, was chosen as the Natural Park of the Province. With many establishments on the beach, this beach with a lively atmosphere hosts volleyball tournaments, and is a perfect place to have an active summer. It is a beach with calm waves and shallow waters connected to the Bay of Ise, well-known for collection of clams and beach activities. It is loved by the people of the area. A great beach officially recognized as the birthplace of the beaches, being the first established in Japan in 1882. It is a comfortable beach famous for the beautiful view and the beautiful white sand. It is a beach visited by many tourists from Nagoya and the Kansai region. The waves are calm, but it is also possible to surf. The beach also offers “barrier free” support, for use of special carts (chairs) for the beach, among others. A beach with transparent waters, a coast with shallow waters and white sands. Chosen for the “Kaisuiyokujo Hyakusen” (100 beaches chosen by the Ministry of Environment), it gets bustling with many visitors during the beaches season. Leisure beach located within Kumano Rinkai Park, a cove with serene waves. There is a camping area near the site. A beach with shallow water and white sands for about 1km long. In the summer there are many visitors and campers from the Chukyo and Kansai regions. There are also beach volleyball tournaments and beach kayak.